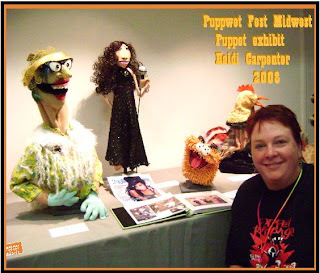 I'll post a collage of some of the other wonderful puppets soon, but here's my fabulous display!! What is that long pink thing coming out of Amy Winehouse's neck? Is that her arm?